All competencies (marked blue on the diagram above) will be assessed via multiple choice questions. All skills (marked orange on the diagram above) will be assessed via a virtual consultation with a virtual patient (Avatar) and video critique of three clips from consultations. If you are not seeking initial accreditation or reaccreditation before 31st March 2019, you will need to submit an online form to Shared Services to confirm you have passed the Generic Skills and Competencies assessment. 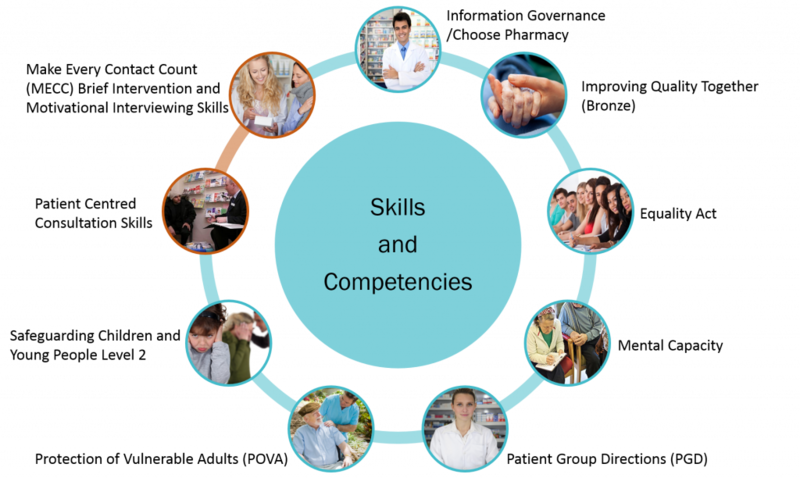 A link to this form will appear on the hub when you have completed all the skills and competencies. There will be no more face to face training events for any of the enhanced services. An online form will need to be completed and submitted to Shared Services once all assessments have been passed. 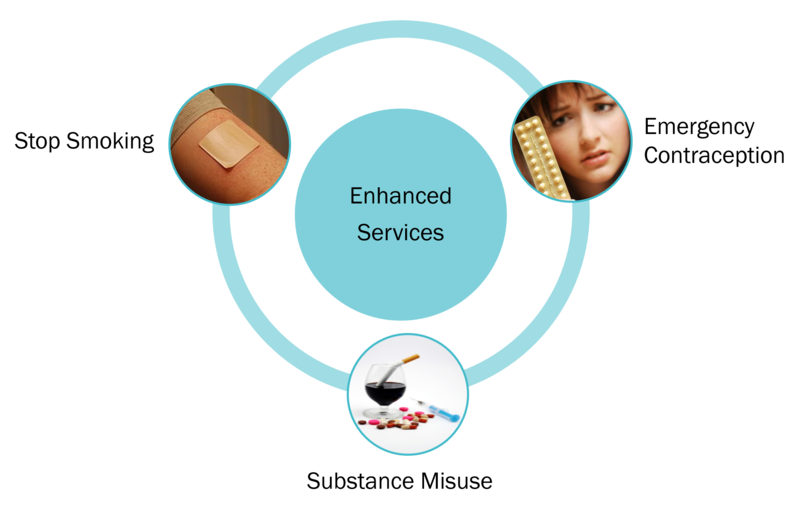 This form will only be submitted at the time of initial accreditation for any of the enhanced services above. Every 3 years from initial accreditation a reaccreditation form will need to be submitted confirming you are keeping up to date with developments in the enhanced services you are accredited to provide. Reaccreditation will be based on your CPD and will not require a formal assessment. 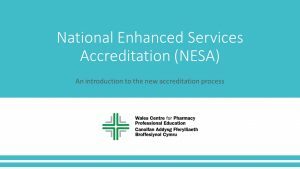 Between 3rd April 2018 and 31st March 2019 all pharmacy professionals delivering enhanced services must complete the new Generic Skills and Competencies assessment (unless you have completed this during the NESA pilot). After 3rd April 2018 all pharmacy professionals seeking initial accreditation for enhanced services will need to follow the 3 steps described above.